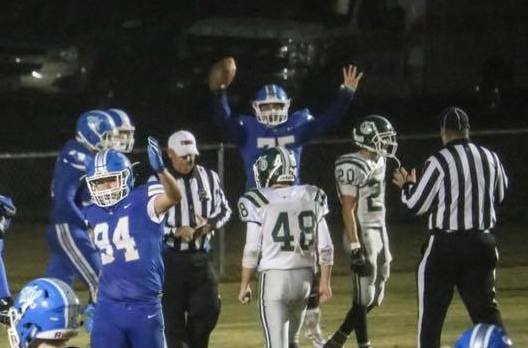 Cartwright celebrates a special teams touchdown in week 11 over Greenbrier. He was named POTW for week 9. 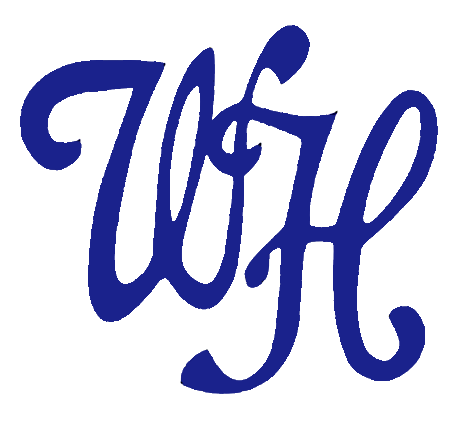 WHITE HOUSE – Senior lineman Joey Cartwright was named the Farm, Bureau Player of the Week for week nine against Creek Wood, when the Blue Devils lost on the road. Cartwright plays tackle on the offensive line and recorded four tackles on the line on defense. For the season, he ended the year with 54 tackles, five tackles for losses, seven quarterback hurries and 2.5 sacks with one fumble caused and a special teams touchdown with a recovery of a blocked kick in the end zone. 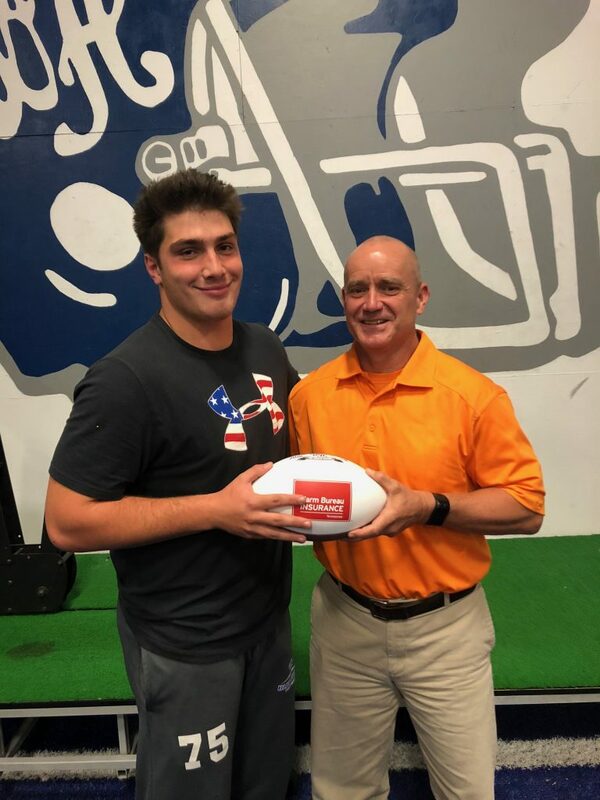 Cartwright was presented a game ball from Tal Plumlee of Farm Bureau of Tennessee in White House on Monday, October 15, 2018.